Huawei has already rolled out the android 8 Oreo update to Huawei Mate 9, Mate 9 pro and Mate 9 Porsche design users. Now the Chinese smartphone brand has started rolling out the Oreo update for Honor 9 and Honor V9. Starting from the 7th of December, Huawei Honor 9 and Honor V9 users will start receiving the latest Oreo update. 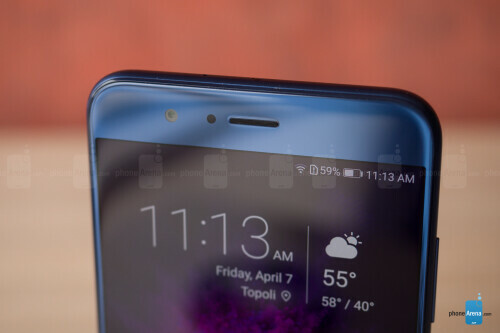 The first set of people to receive the update will be the Honor 9 and Honor V9 users who signed up for the beta program, but the update will eventually get to everyone. At the moment the update is only available to users in China only, but the worldwide roll out is expected to commence before the year runs runs. If you are a user of the Honor 8 Pro then you have nothing to worry about as your device is also eligible for the upgrade. Before you proceed with the upgrade, make sure you have a strong WiFi network and your phone is at least halfway charged or connected to the power outlet. Also, if you don't like the android 8 Oreo after upgrading, you have the option to downgrade back to your previous android 7 Nougat, but keep in mind that your data will be lost in the process.